At Conceptual Options all of us have come across friends and family that know nothing about surrogacy. But, we have also found out over the years that what we often come across people who could really benefit from surrogacy but were always to afraid to ask – until now. Well, that just happened to one of our staff members last week. She sat down with friends for dinner that she hasn’t seen in almost a year, and they got right down to business, so to speak. A little back story on this couple, they have been trying to have a baby for over 10 years. They have tried it all from holistic medicine to IVF. Their savings is quickly dwindling, as fertility treatments can be quite expensive, and they are tired. They are over it. They just want a baby. They wanted to know if Conceptual Options could do to help. They were ready to start today. They weren’t afraid of the cost, they understood all the medical risks .. what they were afraid of was related to all the negative stories they have been seeing the last few days about Baby Gammy. Could the surrogate decide to keep their baby? Could she prevent them from being with their child? She told them, just as with anything in life, there are never any guarantees, however there are certain precautions they can take to ensure a safe, healthy and happy surrogacy journey. Not all surrogacy stories are negative, in fact I can list hundreds of positive stories as well. Deciding to use a surrogate to build your family is the hardest part. Once you decide, you need to start doing your research. Find an agency that you feel comfortable with, ask yourself what type of relationship do you want with your surrogate, what type of experience are you looking for – do you want to be fully involved or do you want to take a hands off approach? And understand that the process is costly. Agency fees, surrogate compensation, psychological evaluation fee, health insurance, IVF costs, attorney fees, court fees.. they all add up. So be prepared. Our recommendation to them was to interview three different agencies, speak to three different reproductive attorney’s and three different IVF doctors. Then go with the agency they feel most comfortable with, one that matches their style and aligns with their values. Do your research, ask questions, be involved and be patient. Surrogacy is and can be a beautiful, life changing event for everyone. We all just need to work together to make sure it stays that way. *Note that all parties approved of our disclosure of their story. The Equal Protection for All Families Act, authored by Assemblymember David Chiu and co-sponsored by Equality California, the National Center for Lesbian Rights, and Our Family Coalition, passed the California Assembly May 18 with unanimous support. The bill updates California assisted reproduction laws to help ensure that all families are protected equally under California law. Conceptual Options applauds the efforts of Assemblymember David Chiu and those sponsoring this bill to ensure fairness to egg donors, sperm donors and the families that they help create in the great state of California. AB 960, the Equal Protection For All Families Act, updates the state’s assisted reproduction laws to ensure all couples using assisted reproduction are fully recognized as parents as intended. Specifically, AB 960 would allow unmarried people using assisted reproduction to be fully recognized as parents on the same terms as married parents. Further, this bill would remove the requirement from family law that couples must involve a doctor when using assisted reproduction in order to ensure that the donor is not recognized as a parent. AB 960 also provides clear direction for how egg donors should be treated under California law. These important changes in the law will increase access to family building options by eliminating economic barriers. Read more here about AB 960. The egg donor is one of the most vital contributing factors to a successful pregnancy, whether as an Intended Mother or as a surrogate. Sometimes without a egg donor, your child being born will be nothing but a dream. In addition, donating an egg is an opportunity to help families who struggle with having a child of their own. The egg donor is the missing component to completing a beautiful family. There come many struggles with finding an egg donor. The emotions you’ll be feeling as you go through lists of names and searching for possible candidates can be potent enough to swallow you whole. You may feel excited, nervous, or even scared. Most of all, you’ll be unsure. And you’ll find yourself going through the same pages repeatedly. Many agencies fill up their databases will false information to fluff up the parents’ options. We recognize the struggles of searching for an egg donor, and we do not discount the stress and importance of it. This is why we provide you with access to over 500 qualified egg donors who not only meet the strict requirements, but are real as well. Our work ethic differs greatly from other agencies. You’ll find our services more professional, and our relationships with our egg donors are much tighter. Unlike other agencies, we require each of our egg donors to contact us on a regular basis to keep us updated with her current situation and her schedule. Searching for an egg donor is a highly emotional process, and our intentions are clear. We want to provide parents with a calm and controlled environment while choosing an egg donor. Our agency emphasizes greatly and not wasting any of your time waiting on egg donors who are not available, or filling you up with false hopes. If an egg donor has not recently updated us with her situation and schedule, she will be deemed as unavailable and we will not allow her to be a possible candidate in your selection. Our egg donation database is designed to make your egg donor selection process as fast as possible, allowing your pregnancy to be completed with minimal time being wasted on waiting. Once the possible donor has been selected, our reliable clients relations team will immediately contact her. Upon agreement to assist you and your family, she will be invited to sign a match agreement. The legal process will then commence, and your family will be advised and guided throughout every single step by our reliable staff. 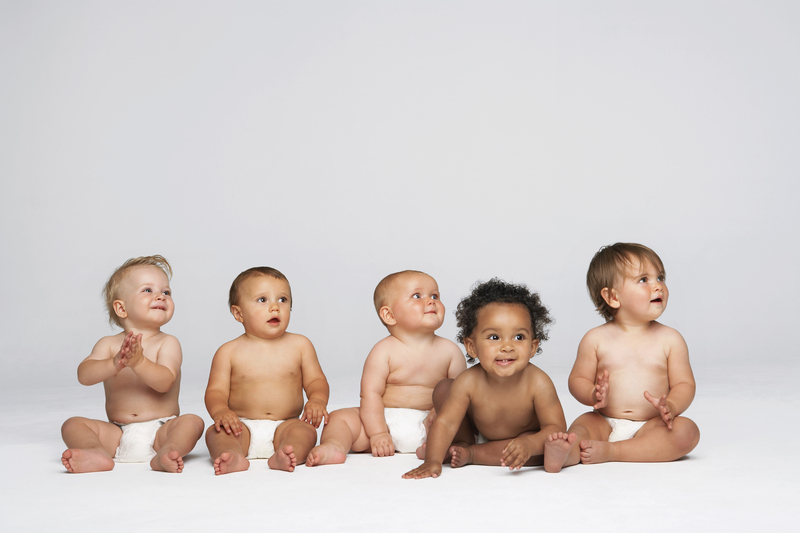 Good luck in your search via our egg donor database here at Conceptual Options.